The Cotswold region is a wonderful location for companies to hold their corporate conferences, training, team building, and away days - often in period traditional Cotswold buildings with wealth of features and history and generally in magnificent settings. The establishments represented on this page are also ideal places for Special Interest Groups such as clubs, societies and associations to have weekend meetings and for holding their events. The Cheltenham Regency Hotel is situated 2 miles from the beautiful Cheltenham town and only a short distance from the M5 motorway. Our aim is to offer you the ideal conference facility in Cheltenham and the support so that your event goes without a hitch. We have five main conference centre facility rooms. 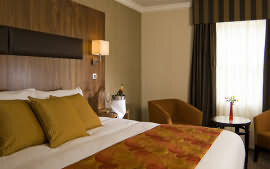 The Cheltenham Regency Hotel has just completed a substantial refurbishment; this elegant hotel now offers 47 en-suite bedrooms, including suites, executive and family rooms. 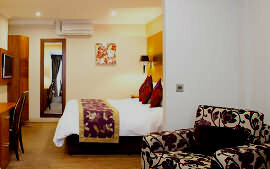 Each air-conditioned room boasts designer oak furniture, flat-screen TVs with DVD players and a marble private bathroom.We have a bar and restaurant that offers high quality food from out menu. The Gloucester Room for the smaller meeting and our large Hayden Suite for the larger conference event. Theses conference centre facilities are ideal for business boardroom-style meetings, business seminars, interviews and small or large training sessions and include free wireless Internet throughout. We also have a flat 3 acre area adjoining the hotel which is available for your use. The Cotswold Suite is a brand new conference room to accommodate up to 10 guests.With ample free parking, free WiFi and a dedicated team of friendly, experienced and enthusiastic staff. 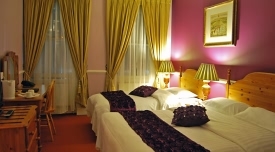 The Cheltenham Regency Hotel offers a stress free environment for all your requirements. 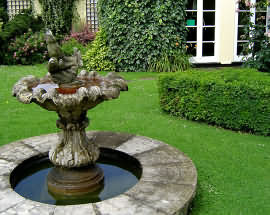 Simply put, Foxhill is a private manor-house hotel in the Cotswolds (2.9 miles from Chipping Campden), with eight unique bedrooms and suites. But that doesn’t quite do it justice. 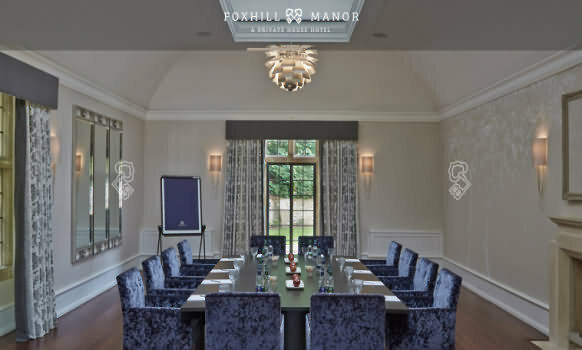 A Grade-II listed Arts and Crafts country home refreshed and revitalised for the 21st century, Foxhill Manor is a new type of stay: all the character and charm of a boutique-hotel hideaway, served up with heartfelt personal service and an easygoing at-home atmosphere. Trust us, you’ll love it. Our manor is set within its own little grounds on the 400-acre woodland estate of Farncombe, in the Cotswolds, a lazy stroll from the pretty village of Broadway and a couple of minutes’ drive from our big-sister hotel, Dormy House. We’re about an hour and a half out of London by car. As the Manor is your venue exclusively when you book a retreat you can choose where you want to meet. Keep it relaxed on super comfy sofas in the lounge, go a bit more traditional in the Ballroom with its natural light pouring in from triple aspect windows and a spectacular skylight or for something different, kick back on bean bags in the fun screening room. We can accommodate up to 28 for a boardroom meeting, 40 for a classroom and 70 for a theatre style presentation. We have 8 rooms at the Manor, but plenty of extra accommodation on the estate at either Dormy House or the more affordable Fish hotel. 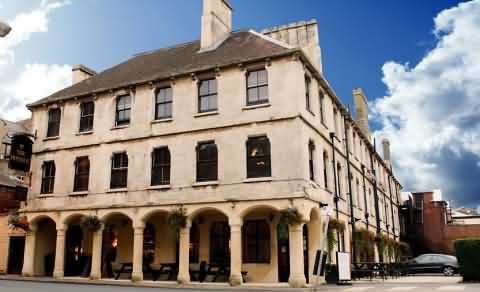 The Imperial Hotel is situated in the centre of the Cotswold town of Stroud amidst beautiful countryside views. Recently renovated with bright, modern furnishing, The Imperial Hotel was once a coaching inn and was built over 300 years ago. It still retains many period features throughout the hotel. All 21 rooms at The Imperial Hotel feature private en suite bathrooms, TVs, hairdryers, and tea and coffee-making facilities. 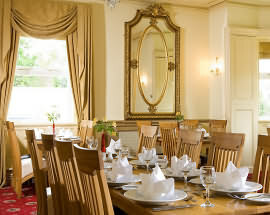 Full English breakfasts are available to guests each morning. 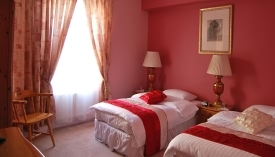 The hotel has a very spacious 3 bedrooms apartment for hire from £300.00 per night, minimum of 6 people and maximum of 9 people. 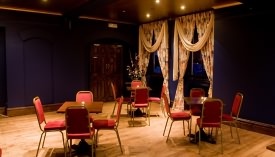 The Imperial Hotel has two multi functional conference facilities on the premises. Audio visual equipments on hire. The Imperial Hotel serves authentic Thai food. 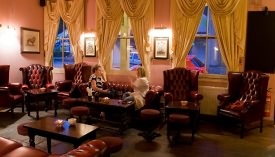 The hotel also offers a range of wines, real ales and single malt whiskies. Chefs at the Imperial Hotel use only fresh ingredients and all food is cooked to order. Stroud is situated in the Cotswolds surrounded by beautiful countryside, rivers, streams and wooded valleys. Stroud Railway Station is immediately next to The Imperial, and the nearby M4 motorway is easily accessible.